Summer 2017; Kindle version available in August. 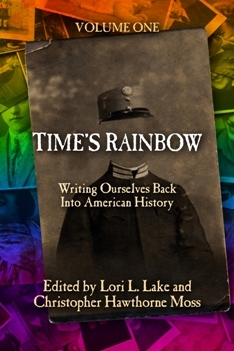 The authors of Time’s Rainbow have done a lovely job with a wonderful idea: write stories to illustrate the possible lives of LGBTQ people in all eras of American history. 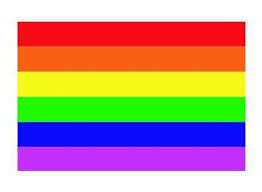 For the most part these aren’t romances (though a few might qualify as such), just stories of certain times in the past, with lead characters who happen to be lesbian or gay, and, due to the nature of social attitudes at the time, often have to hide it, or face terrible consequences. The time settings and characters include an accused woman in the Salem witch trials, a slave joining the Underground Railroad, a criminal in Portland in the 1880s, an FBI agent working the D.B. Cooper case in 1971, teenagers in the 1950s in New York City, and pioneers and cowboys of the Old West, among others. I loved the variety, was impressed with the quality of writing, and most of all I appreciated how the book accomplished its aim in making me think about what it would really be like to be an LGBTQ person in each of these time periods. I admire them all—the real people whose lives are represented by these fictional protagonists—for their courage and endurance, and for paving the way to our much brighter present. I hope to see other similar volumes with more historical settings! I think this is a fabulous idea for short story projects.